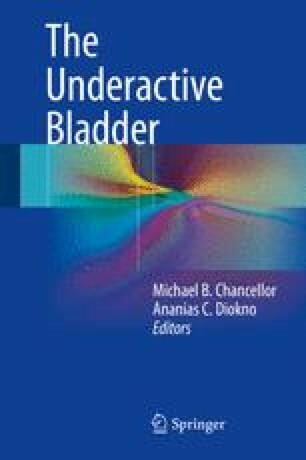 Muscarinic agonists are the most commonly used drugs for treating the underactive bladder (UAB). Many clinicians who treat UAB patients will use bethanechol but most physicians will also acknowledge that bethanechol is not helpful for the majority of their UAB patients. Clinical utility of current parasympathomimetic treatment of UAB is limited by low pharmacologic specificity for the urinary bladder and common side effects. This chapter will review the use of parasympathetic agents to treat UAB. This will be followed by chapters that will focus on advances in treatment of UAB including Chaps. 7, 8, 9, and 10.